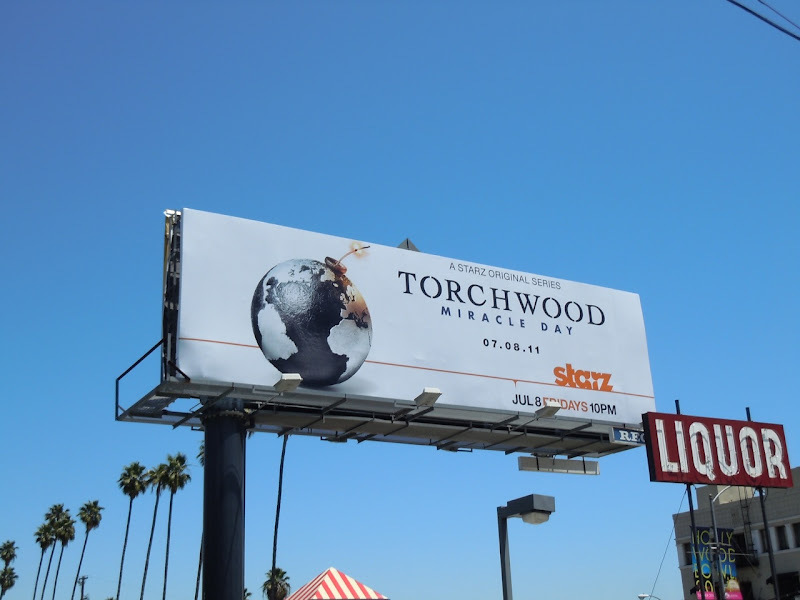 Daily Billboard is really excited by this billboard for what is the fourth season of British sci-fi show Torchwood and actually the first to be co-produced by the BBC and Starz. It's interesting a time bomb in the shape of the world is the chosen creative, as the Doctor Who spin-off series relocates from its Welsh origins to America's shores for a more global adventure. There's also something slightly Mission Impossible about the bomb image which hints at the action to come. 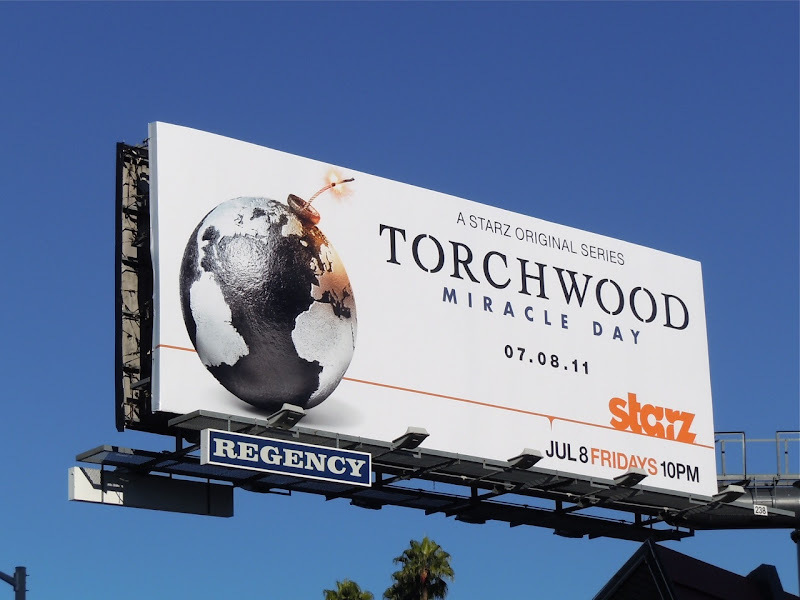 Apparently Torchwood: Miracle Day will follow the events of when no one dies on Earth anymore. This fantastic billboard was snapped at two locations along Sunset Boulevard on June 30, 2011. 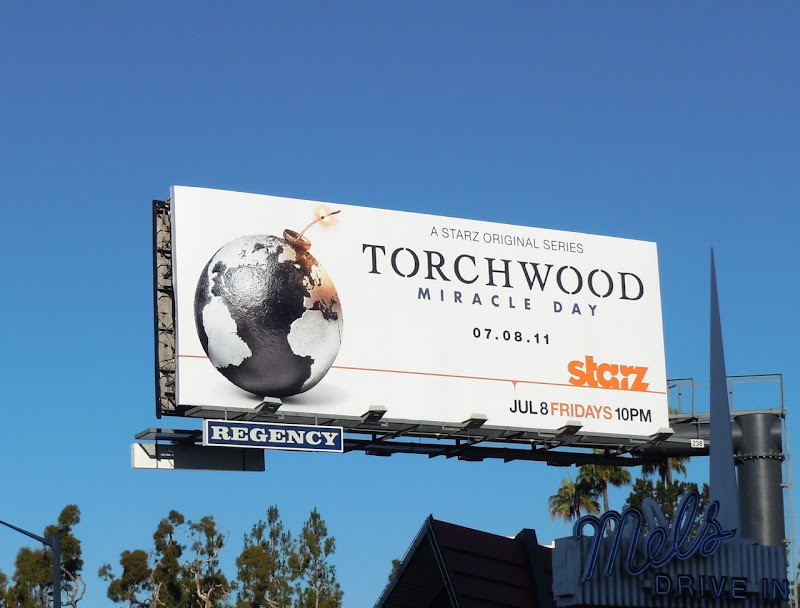 If you're a fan of the show, be sure to check out last season's billboard for Torchwood: Children of Earth.